Group trips, tours, and vacations can be made easy by choosing to use a charter bus for your transportation. Bus transportation is gaining popularity due to the convenience and efficiency. According to a study by the American Bus Association, passenger bus travel increased by 8.5% between 2016 and 2017 which makes it the fastest growing mode of transportation in the country. In recent years, the inconvenience of air travel has further accelerated this trend. There’s nothing worse than everyone being in their seats and ready to go, only to be delayed by one tardy person. Don’t be the person that everyone loathes for making them late. Make sure to give yourself plenty of time to get your things together and get on the bus on time. At rest stops, make sure you get back to the bus by the time your group leader gives you. Food that has a very potent smell or is very loud to munch on probably isn’t the best choice. Make sure you clean up after yourself too, especially if you drop anything on the floor. Traveling with small children can be difficult, and most people understand that. But it’s important to keep them entertained so they aren’t being a nuisance to the other passengers. Bring activities, snacks, screens, and movies to keep them busy throughout the trip. Don’t play your movie out loud or have your music volume blasting so loud the other passengers can hear every word through your headphones. Mind your personal space. Don’t try to look at or touch the other passengers’ belongings and keep your hands and feet to yourself. If you’re sitting in a window seat, try to stay in your seat as much as possible so you aren’t disturbing your neighbor too frequently by asking them to move so you can get up. 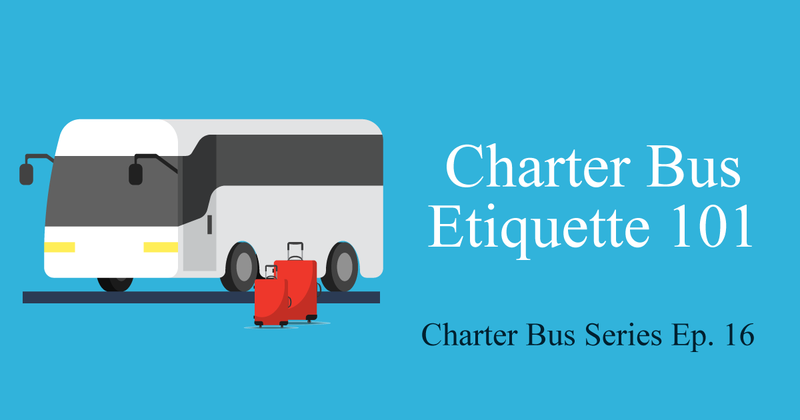 For your next vacation or group trip, you might want to consider a charter bus rental. It can be a convenient mode of transportation that gives you one less thing to worry about when planning your trip. Kevin Smith Transportation Group (KSTG) is Philadelphia’s Luxury Charter Bus operator that dispatches from Berks, Bucks, Chester, Delaware, Lancaster and Montgomery counties in addition to servicing all of Philadelphia, PA. With seating capacities from 12 to 56 passengers, KSTG is the perfect choice for a daily rental to a multi-day tour.